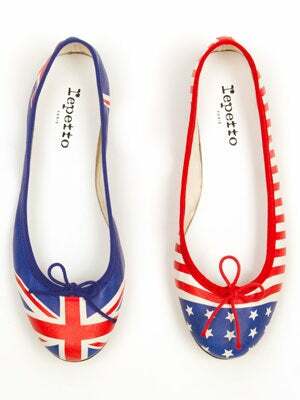 To celebrate their brand-new London outpost, Opening Ceremony made their own homage to our country's special relationship with England by releasing a limited-edition pair of Repetto flats, which bears two kinds of red, white, and blue. The left foot gets the stars-and-stripes treatment, and the right sports a Union Jack, and we don't think there's a better way to use your toes to celebrate the country currently hosting our best Olympians. Though, it might get confusing for you in the cheering section — just make sure you work out your allegiances before your feet get in the way.